At last spring's Pacific Masters Short Course Yards Championships we recognized 2017's outstanding Pacific Masters swimmers. Andrew McPherson and Laureen Welting were recipients of the Laura Val Swimmer of the Year awards. In addition the top three swimmers in each age group were recognized as Age Group Swimmers of the Year. They are listed here. Andy also sees this award, as a recognition of his relationship with his fellow teammates. 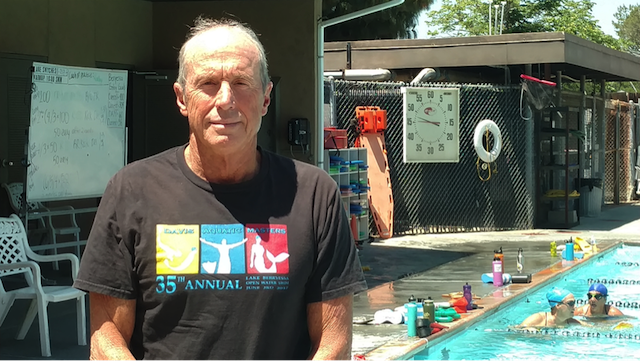 This low-key and extremely talented Masters swimmer began swimming consistently at age 40. Following his retirement last year Andy can now devote a majority of his time to swimming. He values the fabric of social connections he finds in his team and enjoys sharing his knowledge with the other swimmers. This humble swimmer would rather provide motivation with examples of other swimmers’ successes than with his own achievements. Andy is always striving to be better. He is intrigued by each new angle, new possibility, or new technique that may might improve his training, recovery and speed. Speed is a critical component of the DAM team motto: “DAM Fast". For Andy, he will tell you his cap shouldn’t say “DAM Fast”, but rather “Not too bad for someone who is 70.” We could not agree more. Congratulations to Andrew McPherson! 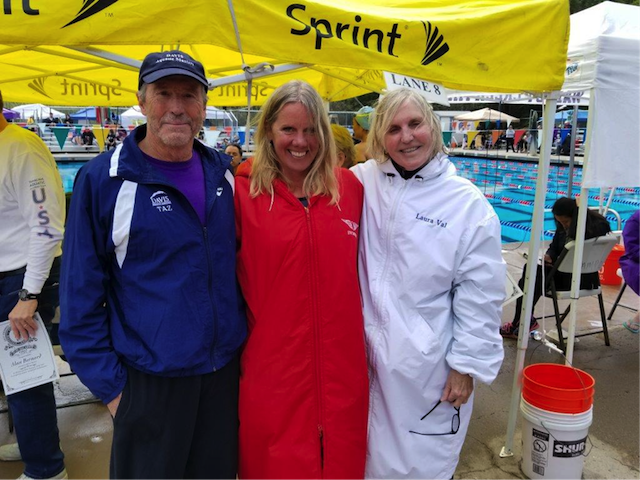 Laureen Welting (The Olympic Club, age 52), the Pacific Masters 2017 Laura Val Swimmer of the Year, female, is swimming consistently as fast as or faster today than she was five years ago. She swam 19 Top Ten USMS swims in 2017, including a 5:08:03 in one of swimming’s most difficult events, the 400 individual medley (short course yards). Laureen is not just a distance swimmer but can sprint with the best of them, posting a 29.72 in the 50 free (long course meters). She attributes her speed to her training approach. In 2017, she increased her overall training time. However, she broke her swim training into shorter workouts involving greater intensity and a little more speed work. She picked up training hours by increasing her dry land activities with more weights and core exercises. Laureen is in the special position of being her own coach. She is the long-time coach of The Olympic Club team. 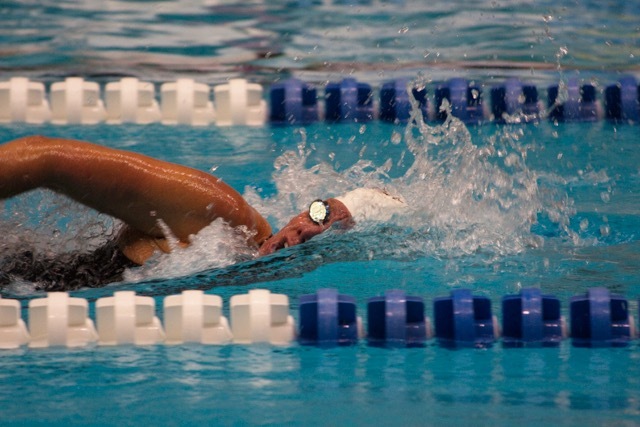 Her approach is to encourage her swimmers to “step out of their comfort zone in practice." “Swimming slowly and at the same pace every day, and staying comfortable, is not going to help a swimmer improve their times. If they get out of their comfort zone, and get the heart rate up, they are going to swim faster when they race, as well as build endurance.” Laureen practices what she coaches. She makes herself “get uncomfortable” during training. Goal oriented even as an age group swimmer, Laureen wanted to be first to touch the wall. She then set her sights toward qualifying for the Olympic Trials, which she did twice. Now her motivation is to beat every swimmer in her heat and touch the wall first. She continues to strive to learn and improve her coaching to help her swimmers achieve their goals. 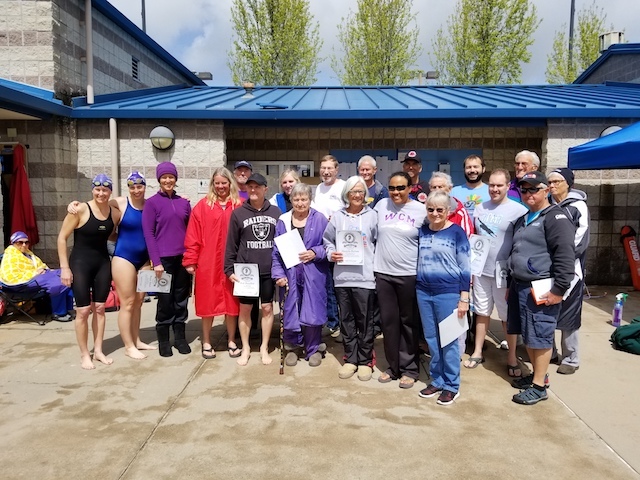 In swimming she practices hard, races each race as competitively as possible and is awed by seeing people still swimming in their 80s and beyond. As she says, "That is inspiring". Laureen’s advice to those of us who try racing for the first time as adults is to not compare yourself to other swimmers, focus on attaining goals you set for yourself. She says, “Just relax and have fun doing it." Good advice for the beginning racer and advice that Laureen follows herself. Congratulations to you, Laureen Welting! Written by Lessly Wikle Field, Albany Aquatic Masters coach and swimmer currently working on improving her 100 fly.